Quizzes have been a teaching tool since dinosaurs walked the earth… well maybe not that long, but ever since teachers have been educating their students. They have been used throughout our lives: in elementary school, high school, and all the way through students SAT prep courses. Quizzes and pop-quizzes always seem to be so annoying for students in the moment, but they should be viewed as a tremendous learning tool when used the right way. Consistent and frequent quizzing on a specific subject has been shown to be effective in helping to store information in a person’s long term memory. This “Testing Effect” or quizzing effect, is one of the reasons why it makes sense to include frequent quizzes in one’s teaching curriculum. In addition to using quizzes to help students remember material in the long term, quizzes are a great way to assess a student’s knowledge on a subject before starting to teach about it. Quizzes have their place in the educational landscape and are here to stay. Now it is up to educators to understand and connect with students in a world where education and technology are joined at the hip. Quizbean has recently partnered with Clever, an awesome application for both teachers and students. This makes life a heck of a lot easier for teachers trying to incorporate educational technology apps into their classroom. Clever has created an application which saves teachers hundreds of hours of administrative set-up time; they created a tool which allows teachers to easily make a quiz (through Quizbean) and automatically send it to all their students with a few clicks. When students complete a quiz sent by their teachers, their results are automatically posted online for the teacher to see. Teachers not only see how students did individually, but they see they bigger picture. When students are taking a Quizbean quiz, Instascore is enabled; students see how they are doing as they take a quiz. Students see which questions they answer correctly, and when they answer incorrectly, teachers have the option to add explanations to inform them about the correct answer. This feature benefits students as they are able to understand what information they have absorbed from their teacher and are able to simultaneously learn when they answer a question incorrectly. Students no longer have to wait a few days for the teacher to go through all the quizzes and correct them by hand. More time for teachers, better feedback for the students; win-win. Instantaneous feedback, Voilà! Some of the most beneficial features of Quizbean are the reports and analytics generated by the application. After students in a class complete a quiz, reports can easily be generated which show the individual results of each student, and also the collective results of the entire class. It is easy for teachers to see the patterns of which questions students tended to answer correctly, and those which they often got wrong. Since the quizzes give instant feedback, teachers don’t have to spend extra time grading all the quizzes individually. Teachers also can analyze reports to help them draw conclusions about how the students are absorbing the material they are teaching. With the world growing more virtual day after day, students have the ability to access technology and online educational resources wherever they are. It is now easier than ever to create a quiz on Quizbean, and send it to your students to do as homework on their own time. Snow day coming? Have the students watch a short video and send an easy quiz to go along with it. The students will still be able to enjoy their snowball fights and sledding, and can do their 10 minutes of work after their day of play. A quick video and quiz on the day off seems like a good alternative to making up that snow day in June! Quizbean has an expansive quiz bank with quizzes that span all types of subjects: language, history, math, sciences and much more. Teachers can build upon quizzes they find in the Quizbean quiz bank to create study tools for their students. These quizzes can easily be shared to a teacher’s entire class or shared to a select group of students in their class. Teachers also have the option to share the quiz to anyone else through email or social media. Bottom line, once you find or make a quiz you like, it is easy as pie to share it. Teachers have the power to turn the question randomizer on and off. This means when one quiz is sent from a teacher to all their students, they can control if ordering of questions will be different for each quiz. This can be highly beneficial to giving online quizzes in the classroom in an effort to dissuade cheating. This can ease your worries about whether little Johnny will try and peak over to see what Mary answered for number 7. Using the randomizer feature adds some mystery to you and the student, and who doesn’t love integrating strategy with learning? Happy Quizzing everyone! Feel free to reach out to the team if you have any questions or suggestions. If money grew on trees, everything would be easier, right? Sadly, it doesn’t. And you need money to go on fun, end-of-year school trips with your students. You know, the trips they look forward to since, like, first grade? These days, it’s hard to find the money to make trips happen. Budgets are tighter, parent’s wallets are closing, and you need to come up with the money to fill the gap – or the trip can’t happen. When I was in school, we had a lot of trips – to big museums in Boston and even across the border to Ottawa and Quebec (those were awesome trips). And we had to fundraise to pay our own way. Plus, my parents had to chip in a little bit. How can you fundraise without selling cheap stuff? These are big in small towns. For example, in our town, there’s a “Friday Night Food Affair” – it’s where the community comes together to enjoy a meal at the church. But, you could easily make it a fundraiser for your school trip. Get a couple cooks together and make a giant feast. Then, invite all the parents and rest of the community. All of sudden, your class has cash! If you have a lot of small businesses in your town, get them to donate products and services to your auction. Then, all the proceeds go towards your trip – and you get to promote local businesses at the same time. Another variation on this is the discount card/book. Get 20-30 businesses together to make a coupon book the community can use to get discounts. Then sell the book for far less than the value inside. For example, a $20 book can have as much as $500 in savings. Oh, and don’t forget one for your family, too! I mean, seriously, who doesn’t love a serious sugar rush? Rock a bake-sale with cookies, brownies, cupcakes, pie, etc. And sell, sell, sell. Although, icing kind of sells itself. Hold your bakesale every Friday for a month and see what happens. Hopefully, you have some aspiring students or parents who want to bake and you’ll get some delicious treats. If you can’t find the bakers, buy-up some baked items from the grocery store and re-sell them (although, it’s waaaay cooler to bake your own stuff from scratch). While I’m sure everyone loves the principal, it’s payback time! Rent a dunk-tank from a local rental company (hopefully it’s a hot day, too) and get dunking. Have kids pay to try to dunk the principal. Or, you can get involved, too. I’m sure students would love to dunk their 7th grade history teacher. An alternative to the dunk-tank (and cheaper) is a pie-in-the-face fundraiser. All you need is some plates and whipped cream or CoolWhip. I love this idea. As I walked through the local Elementary school recently, there was tons of student art hanging from the walls. While I know it’s totally fridge-worthy for the parents, you could set aside some time for students to make something different to auction off. Of course it encourages the student’s parents to bid as high as possible on their kid’s art, it’s a fun way to recognize the accomplishment of your students and make some cash for you school trip. For many of you, end of the year trips means it’s finally getting warmer out. That means pick a Saturday and host a kickball tournament. It’ll be nostalgic for the parents and fun for the kids, too. Create teams and a bracket, grab some kick balls from the gym, and pitch away. Collect money for each team registered and give some away to the winning team, too. Play ball! What has your class done in the past that’s worked to raise enough money for your trip? Start the discussion off and let us know in the comments below. Ok – spill it. 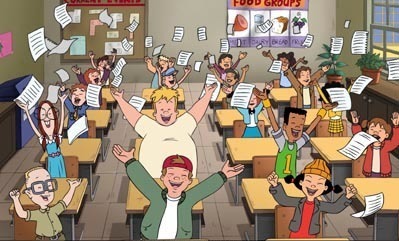 Recess was the greatest part of grade school. Come on, we both know it. You got to play outside with your friends and not worry about that history quiz next period. Oh, and here’s 12 more reasons reasons is just plain awesome. 2. When you first get outside, it’s magical. 3. Gossip by the tire swing. For reallz. 4. Talking about what happened at the boy’s game last night. 5. And they force their friends not to cram last minute. 6. Oh, did I mention the see-saw. Yesss. 10. The snow ball fights. Minus the ice balls. 12. And then you realize you have 2.5 months of recess. Um. Yes, please. See? Ok. Now, share this on Facebook and Twitter. Making the decision about where to go to college is daunting. There are lot of factors, people to listen to, and research to do. It’s a big decision – both mentally and financially. Frankly, it could determine your success in life. That’s why you can’t take the decision lightly. Having seen over 45 college campuses (yes, my Mom literally pulled out the atlas on family vacations and we saw them all – regardless if they had my major or not. Plus, I toured my brother’s and twin sister’s schools, too – crazy). Do you like big schools where you’re often just a number? Or, do you like small schools where you always see people you know walking to class and the professor knows your name? School size influences many factors in this list like depth of curriculum and majors offered, but it’s more of a personal choice here. You want to learn, right? Of course you do! Learning starts with the quality of teaching – your professors. While you’re bound to get a couple duds in college, most of your professors should stellar. They should challenge you – push you to succeed. Working hard pays off. Good professors know this. How could food not be on this list? For four years, you’ll be eating the same food, so it better be good. Go to the dining hall on multiple occasions – not just accepted students day when the food gets upgraded. Talk to current students to see if dining services puts on special events like late-night breakfast (my favorite thing ever), and dinners for holidays – or even themed events. Remember, you’re eating this food 3-4 times a day. Make sure it’s good. This relates to #1 and #2 on the list. The size of your school is directly related to the number of students per faculty member. A bigger school has a bigger ration, say 100 to 1. Whereas a small school is usually 15:1. This has it’s benefits. You can actually meet with the professors (instead of a TA) for office hours when you need extra help and the conversations you have in class will be more dynamic than a simple lecture with 200 students. Food on the table and roof over your head – those are two solid requirements throughout college. And housing, sometimes, isn’t guaranteed beyond your freshman year (typically with larger schools). This means you’ll have to navigate the rental market in a college town. That really means increased rents, six roommates, and broken heat. If this isn’t your thing, look for guaranteed housing all four years. Some colleges just have that “thing” about them – you know, like Harvard, Yale, and Princeton? You know the type of student who goes there. They just say “Oh, I have a degree from Harvard” like it’s the greatest school on the planet (and it is in some respects). But, if prestige is important to you go to a well-known school – a school where you don’t have explain where it is or what they’re known for. While some may argue this should be #1 on the list, for some cost isn’t an issue. But if it is, think about a compromise. Maybe the expensive school is your #1 choice, but it’s ok to settle for a school you (or your parents) can afford. Just imagine: if you go to a school within your means, you won’t graduate with thousands of dollars in debt that’s near impossible to get out of. Yeah – you don’t want that. Many schools are working on this – and other schools are excelling beyond my wildest dreams. Do you want to interact with students from other countries – or even parts of the United States? Then head off to a school with a large population of international students. How do you get kneed deep in your major? Do you have to take a whole bunch of core classes before you even get into the 101 of your major? Or, do you start with an upside-down curriculum where you take your major’s classes first, followed by your core in junior and senior year. The earlier you can get into your major means the earlier you can switch it (and yes, that could happen multiple times in 4 years). What can you do on campus that isn’t class-related? Are there intramural sports? How about a campus newspaper or dance class? Schools with extracurricular help you get your mind of school and out of a textbook. Regardless of your choice, get involved. Make something happen on campus and take a leadership position. You’ll be glad you did when you start looking for a job after college. A lot of students want to move as far away as possible from their parents. Like, other side of the country far. I’ve seen friends do this and come immediately back after freshman year. They missed home. They missed friends and family. Oh, and don’t forget Mom’s home-cooking. That’s what I missed. How far will you be from home? Within 20 minutes – or maybe a weekend trip home. My advice is to make it a happy medium. Distance yourself enough so that you’ll be able to become your own person – do your thing. 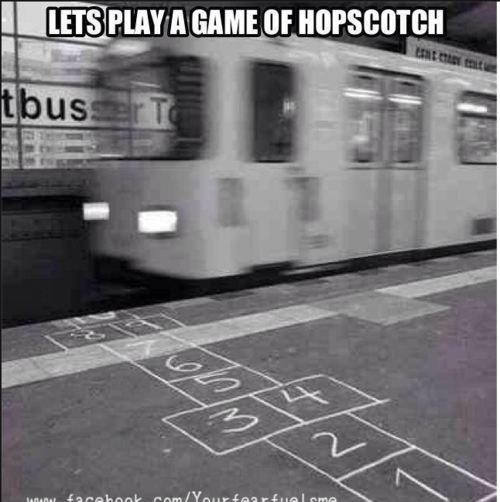 And not hit your parent’s couch every weekend. As a small-town Vermont kid, I dreamed of the “big city” so I put myself in-between two of them. It’s great to go to school in a small college town, but what about the city? Can you get there by train or bus in a couple hours and spend a weekend with friends? Or, are you stuck in the middle of nowhere (Alfred University, I’m looking at you)? Related to total cost of college, it depends on how much financial aid you get. If you’re lucky, you may be able to afford a more expensive school with some debt. But, ultimately, the decision is up to you. I turned down a half scholarship because the school wasn’t right for me. Just proof it’s not all about the money. Is your school accredited by a fancy organization? If it is, you’re heading to a good school. Most accreditations are listed on the school’s homepage or in the brochures you get when you enter admissions. Schools do a ton of work to keep those accreditations so you can be sure they’ll have them for years to come. Did you take some AP classes in high school? If so, make sure your credits transfer. AP credits are a great way to get a legup on your coursework, skip a few required classes, and maybe even graduate a little early. That means you can dominate the world even sooner now – cool, huh? This is also important for when/if you study abroad. How big is your school’s study abroad program? Can you travel to three countries or thirty? Studying abroad is one thing I regret not doing in college, but you have the chance. Hop the pond and study and Europe – or explore the beautiful Asia-Pacific. Study somewhere where you can travel to as many different countries as possible. Are you able to live in a nice dorm or is it more like a prison cell? Check out all the dorms on campus – even the ones you won’t be living in for a few years. Where is laundry located? Is the furniture damaged? What about the size of the rooms? Will you be able to fit all of your clothes AND a mini fridge? If there’s no guaranteed housing, check out the rental market within a 5 mile radius. You have no excuse to not hit the gym while at college. Chances are, it’s beautiful – and some of the best equipment you’ve ever seen. Colleges want to have healthy students (after all, you’ve got work off those giant burritos, right?) so they provide the necessary resources. Some schools even have health coaches/counselors to help develop a plan for you to stay fit. Now, that’s awesome. Some students won’t have much flexibility outside of the classes required by their major to graduate. But, if you do, see if your school has a deep curriculum with some interesting college classes. I went to business school and never thought I’d take a class on African Pop Culture – yet, it was one of my favorite classes. Can you bring a car on campus? What about parking – is it a pain? Some schools don’t even let freshman students have cars. But, that means public transportation better be amazing. Check with your school to make sure it’s easy to get around after class and on the weekends. There’s no getting around it – students drink under-age. But, how much of an impact does partying have on the campus? Is it all people seem to do Thursday – Sunday? Do you want to be part of a rowdy crowd? Or would you rather head into down and grab a bite to eat or hey, maybe even go to bed early? The choice is yours, but be prepared for the consequences of an all-out party school. I looked for a school with a great orientation. Why? Because I wanted to meet people right off the bat. And you know what? I’m still great friends with people I met that first day at college orientation. Great orientations set you up for a fantastic four years with a great group of friends. Do students actually come back after their first year? Schools keep track of this number (because they want to keep it as low as possible) so find out what it is – and why. What’s the reason people don’t like going to school there? And chances are it has nothing to do with the food…. If you have friends or family member’s kids who go/went to a few schools you’re looking into, ask them what it’s really like. Get the behind-the-scenes-not-said-on-the-admissions-tour look at the school. For example, I nixed schools of my list when I found out they were heavy party schools or schools where the food was horrible (yes, it was a deal-breaker). And that’s not even the end of it. But, it’ll help you make a better decision. Did I miss anything? What would you add to the list? Let me know in the comments below. Leadership is one of the hardest words to define. Is the President of the United States a leader? What about your local business people or librarian – are they leaders? Are you a leader? When it comes down to it, leadership is part of everyone – your Mom, your dentist, your yoga instructor, your trash collector – and yes, even you can be a leader. Even if you were a follower. Followers are waiting to be leaders. They’re waiting for their time. But, why wait? A lot of leaders don’t make their mark until college – or even later. They spend the majority of their life following. And following doesn’t get you anywhere. The problem is this: followers won’t know they are capable of leading unless someone puts them in a leadership position, teaches them how to get things done, and bring a team along with them. Finding something to do is easy as a student – there’s homework in every class, hanging out with friends, practicing for a role in the play, etc. Student’s lives are chaos. Leadership skills help students focus on what’s important. They know what needs to happen to get everything done. Whether that means scheduling it out on a calendar or sacrifice (see #3), it’s going to help everyone if they’re focused. You’re at the top of a wall, facing the opposite direction of your peers down below. One step backwards, and you’re falling into the arms of your classmates. That’s terrifying (so are spiders). Leadership gives students an extra dose of courage. And if you’re teaching a classroom of leaders, they’ll coach each other through the team exercise. Courage gives students the power to do anything. After all, the scariest thing for students to do is get something started. Be courageous. Start a movement. Leaders realize what needs to go to get the team (you know, the followers) to the finish line: sacrifice. I remember when I was on a particular team project. My team members could have cared less about the project (because they knew I was the leader). I stayed up all night to get the project done – and done well. That’s sacrifice. Teach you students early and you’ll see an instant bump in quality. Because to do well you have to do less. Disorganization is not the name of the game for young leaders. Teach project management to a leader and they’ll put it into action by splitting up the project, delegating, and bringing everyone else full circle. Related to planning, execution is what leaders do: They get things done. Crossing a task off their to-do list is amazing, Turning in a research paper? Even better? Walking out the door on the last day of class? The best. Students who live for execution of tasks have leadership potential because they are fantastic planners (see #4). They know what needs to be done. Wouldn’t it be great if your students always knew what needed to be done and, well, just did it? That’s leadership. Students helping students to complete the task. Speaking of help, another reason to teach leadership to your students is the team aspect. Ever since you teach them to add and subtract, they’ll be in teams. Whether it’s helping each other, or trying to figure out how to approach a problem, good team work comes from amazing leadership. And amazing leadership doesn’t always have to come from you. In fact, it’s more important if it comes from your students. Go team! I even went to economics & leadership camp. Yep – I spent one week of my summer in Boulder, CO learning economics in the morning and leadership in the afternoon. I not only made life-long friends, but was able to walk away being deeply impacted by what I learned and experienced. Leadership is powerful. Leadership is life-changing. Be a part of that impact for your students. Leadership, while important for self-development, is also crucial for others to see – “Yes, I can do the same thing Billy is doing. I’m just as capable”. No, it’s not competition. It’s simply survival. Leaders get ahead. Leaders get things done. And they do it selflessly. TED Talks are a great way to supplement your curriculum. And they cover pretty much any subject. The following three talks are some of my favorites when it comes to leadership and inspiring action in your students. Oh, and don’t worry – they are all PG – safe for any age. There’s a reason this talk is number one – it’s my favorite. I watched this at the recommendation of a college friend who works in higher education (plus it’s a story about what happened at course registration in college). Have you had a lollipop moment? I highly recommend sharing this video with your students. This is a fabulous talk on the importance of leadership in the workplace. Ideal for high school or college-aged kids, Sinek talks about the power of starting with why people do things – not how or what or who – but why. After you watch this talk, you ‘ll never cross your arms during a conversation again. While not directly about leadership, Dr. Cuddy explains how your body, while in power position, can make an incredible different on you – and those around you. How do you turn your students into leaders? It’s quite simple actually. (Ok, nothing is really that simple). Here’s my 5-step process to take your students from lazy to leader (and it helps you in the process!). Step 1: Identify students to turn into leaders (TEAM). Start with a small group to see if this works. If it does, roll it out to the whole class. There’s no use in getting the whole class involved unless they want to be involved. This could be risky, but hopefully you’ve created an open dialog with your students to be able to say what’s going on – and what simply isn’t working. You can’t tackle 10 changes at once. Work with a focused list of three to make class time with your students even better. Pick one thing to change in your classroom for the week – or two weeks if you’re on a rotating schedule. This helps your small group plan how they’re going to make the biggest impact. Speaking of impact…. Get feedback from your small team and the rest of the class to see if they change in your classroom made a difference – if there was any true impact. See what I did there? I’m walking you through leadership in the classroom (while getting you valuable feedback on how your class is going). Cool, huh? In the end, leadership can be taught. It needs to be taught early so that your students have the impact you want them to have and they want to make. With a couple classroom lessons and several opportunities to put what they’ve learned into action, you’ll be teaching a bunch of little leaders in no time. What do you think? Should leadership be taught at such an early age? Or, is it important to have leaders and followers? Let me know in the comments below. The classroom is quiet and your students look more tired than usual. Some of them are doing a last-minute study review, others look around the classroom anxiously. You wonder how many of them stayed up all night binge studying? Or didn’t study at all. I’ll tell you firsthand, being unprepared or exhausted on test day is a bad feeling. It leads to poor performance on tests (just ask my chemistry teacher) and negatively affects students’ ability to recall important information. Preparing for a test does not have to be overwhelming or intimidating. It just takes a small effort on your students’ part. Here are 7 test-prep strategies to utilize in your classroom to help your students beat common test-day frustrations. Preparing for a test does not start on the day before the exam. It starts on the first day of class. Make sure your students have a class folder to keep assignments organized. Also remind students to date and title each day’s class notes. That way it’s easy to find and highlight the material they need to study for the test. Make review sessions of the week’s material a priority (and we don’t just mean another homework assignment). Put the upcoming test on the student’s radar and it discourages binge studying. You know the saying, “Strength in numbers.” Well, that applies to studying, too. During the first week of class, plan a number of social lesson plans that let students get acquainted with each other. Encourage students to find a group and exchange email or phone numbers to help kickstart the process. Yes, I said it, flashcards. There’s a reason flashcards have not fallen out of fashion. They work. Flashcards promote active recall of information and they provide students with a quick way to assess their knowledge of the material. Have each student make a list of all the unfamiliar terms and concepts they’re struggling with in class and then have them make flashcards. Just remember to tell them to randomize the card order after a few run throughs to keep it fresh. Keep your students on their toes by coming up with different styles of homework. Doing the same homework task over and over again for each chapter is boring. Not to mention your students begin to feel like robots by the middle of the school year. For example, if you teach English, you usually have students read a chapter in a novel then do a short journal about it, right? Next time, have them storyboard their favorite part of the chapter. Your students will thank you. I know, I know. This article is about test-prep. But a lot of teachers forget how crucial and helpful it is to go over the test after it’s graded.This type of review is not just going over the correct answers to the questions. Its about engaging the material covered in the test in a thoughtful, meaningful way that addresses concepts students struggled with. A post-test review keeps students engaged and gives them one more chance to fully comprehend the material. See? There are a lot of strategic ways to get your students to prepare for tests both in and outside the classroom. Do you have a creative, engaging way to prepare students for test day? Let us know in the comments below!